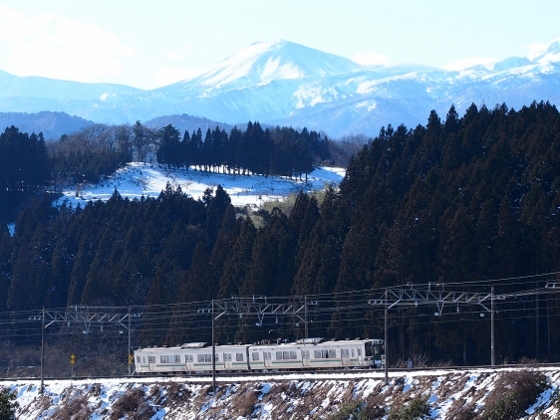 Today, since it was a very clear day in snowy winter, I visited Fukushima City to take pictures of elegant Mt. 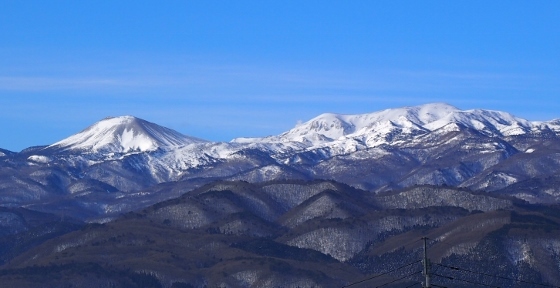 Azumakofuji. View spots were around Niwasaka Station of JR Ou Line. The locations of Mt. 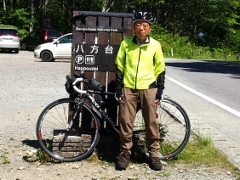 Azumakofuji and view spot were shown in the map below. 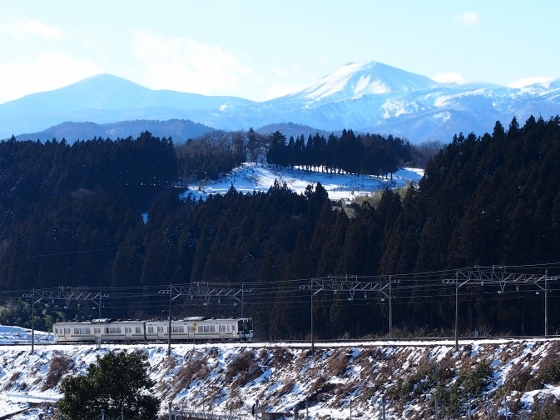 I chose Niwasaka Station of JR Ou Line as the place where I could find a good view of Mt. 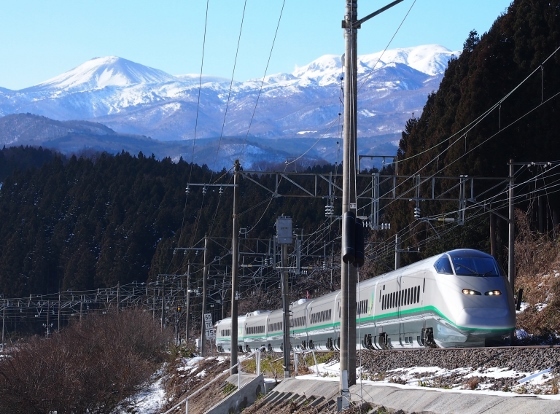 Azumakofuji using only train and foot. The Niwasaka Sta. was only two stops away from JR Fukushima Sta. 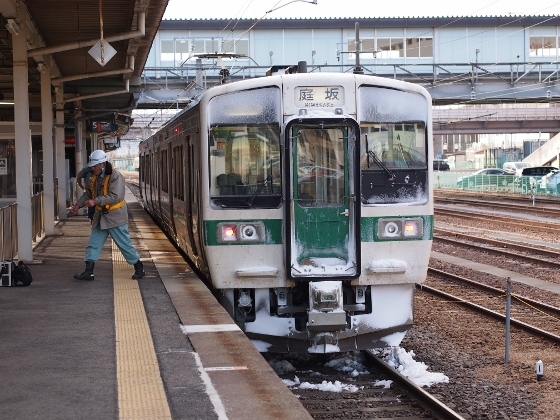 I took a train bound for Niwasaka at Fukushima Sta. Look at the above two pictures. 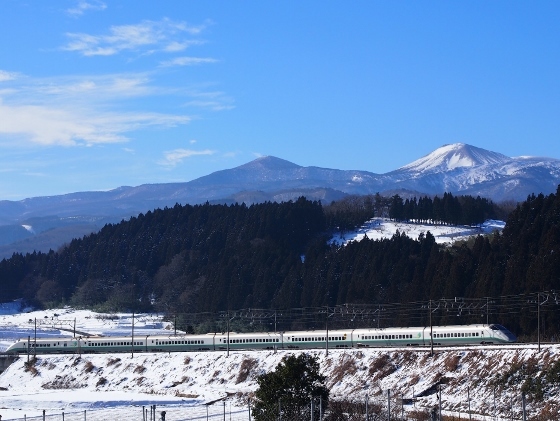 You can see elegant views of the Mt. 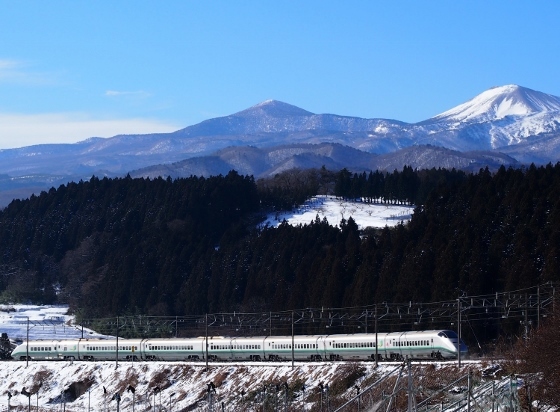 Azumakofuji somewhat similar to the famous Mt. Fuji. You can also find a white rabbit in front. 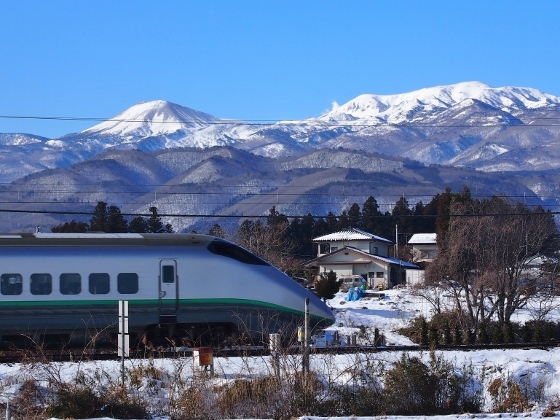 The above pictures show Yamagata Shinkansen with the background of Mt. 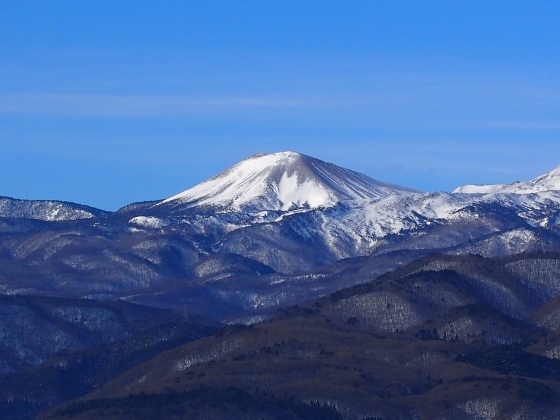 Azumakofuji. 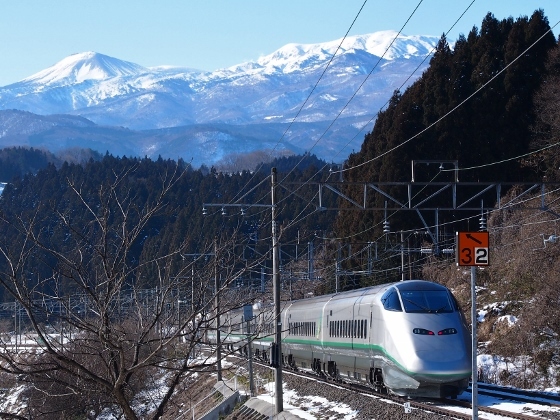 The above pictures also show Yamagata Shinkansen with Mt. Azumakofuji in the back but from another view spot. Both in and out bound trains are shown. 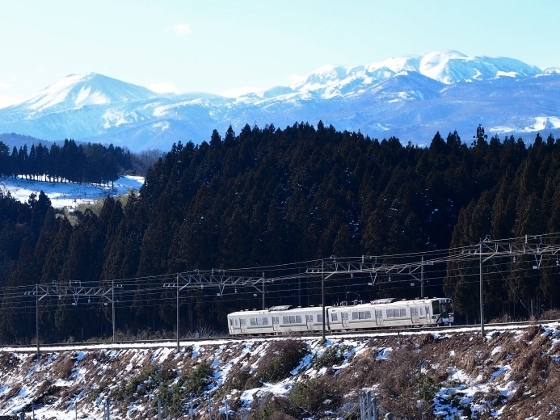 The above pictures show conventional train of Ou Line with Mt. Azumakofuji in the background. 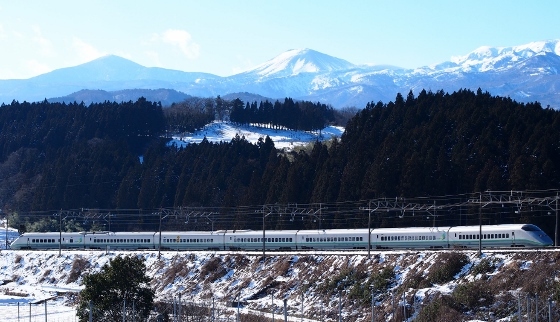 Since conventional trains were scheduled far less than Shinkansen, they were very rare.